Take a look America. This is the face of evil … the very, very, wrinkled face of evil. 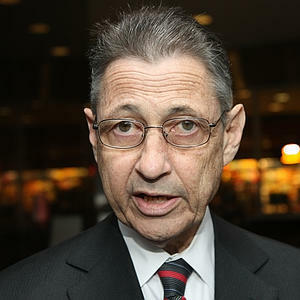 It belongs to Sheldon Silver the Speaker of the New York Assembly. This afternoon, he unveiled more details of the draconian gun laws he and his ilk are proposing for New York. The bill proposes to violate civil rights in a number of unconstitutional ways but the most egregious by far is the ‘death confiscation’ on currently owned semi-auto rifles. Under the proposed law, any currently owned firearm will be grandfathered as far as possession but the owner will need to register it, renew a license every 5 years, and it will be non-transferable. What exactly does that mean? It means that you can never sell it, never give it as a gift, and when you die, you cannot leave it to your children. It, like the few remaining vestiges of freedom left in New York, will die with your generation. This entry was posted in Abuse of Power, Anti-Gun Democrats, Assault Weapons Ban, Confiscation, Gun Control, New York. Bookmark the permalink.